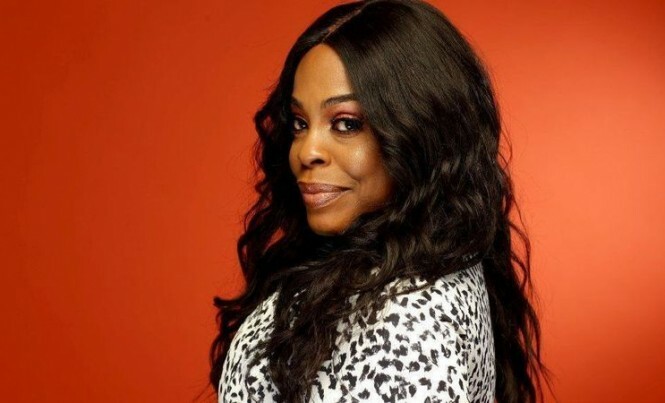 Actress-comedian Niecy Nash, who stars on the TNT drama “Claws,” has sold her Northridge home of more than a decade for $970,000, records show. Built in the 1970s, the hacienda-vibe home sits on roughly half an acre on a cul-de-sac with separate guest house. Details include picture windows with patterned grilles, box beam ceilings and two fireplaces. The family room features a wet bar. Four bedrooms, four bathrooms, a formal dining room and a sunken living room fill out the floor plan. The house has a little over 3,300 square feet in a single story. Outside, a covered patio looks onto a fire pit and a swimming pool with a spa. Mature landscaping and trees create a natural property screen. The property originally came up for sale in early 2018 for $1.129 million, records show. More recently, it was listed at $979,000. Thomas Davila and Kennon Earl of Compass hold the listing. Murphy Lynch of Coldwell Banker Greater Valleys represented the buyer. 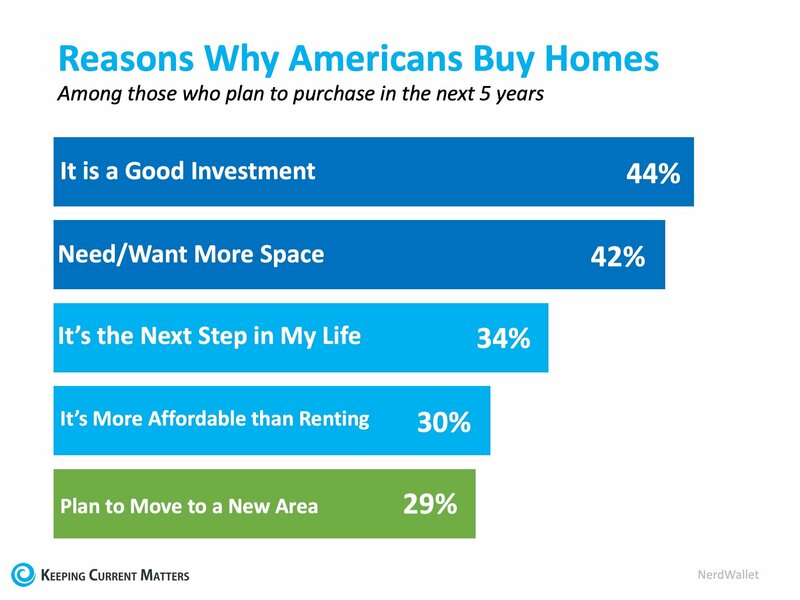 There are more and more buyers entering the market every day! 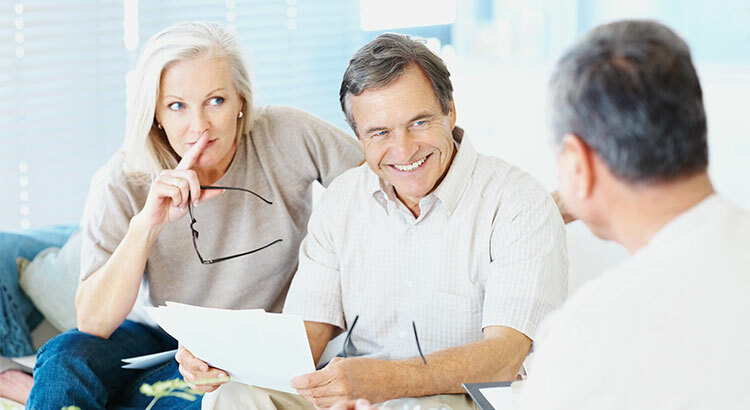 Whether you’re a first-time homebuyer or a current homeowner looking to move-up to your next home, sit with a real estate professional who can help you with your real estate needs! 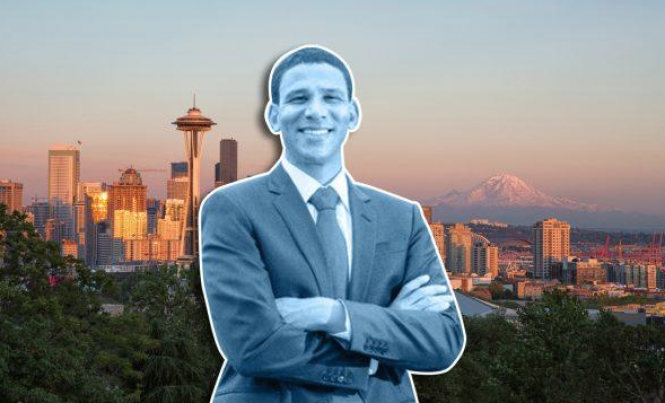 Compass is launching a technology campus in Seattle geared toward building “real estate’s first-ever end-to-end platform,” and plans to hire at least 100 engineers. The SoftBank-backed brokerage, which has been in expansion mode, announced the West Coast Product & Engineering Campus in a Facebook post this week, according to Geekwire. The move came about two weeks after Compass brought on former Microsoft and Amazon executive Joseph Sirosh as its new chief technology officer. The firm’s Seattle office, at co-working space Industrious, will house company engineers. 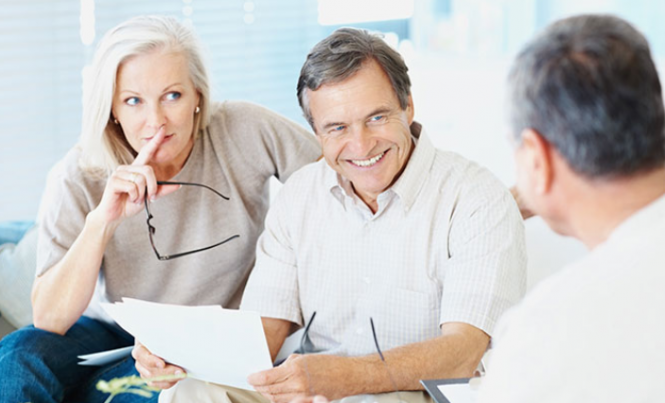 They will work on marketing technology, web and mobile, security, image and artificial intelligence, with a focus on enhancing Compass’ existing agent platform, Geekwire reported. Compass, which has been expanding quickly across the country, also leased more space in downtown Seattle. It will end the year with 150 offices, after starting with 30. But next year, Compass plans to have 300 offices. It raised $400 million from Softbank and Qatar Investment Authority in September, which valued the brokerage at $4.4 billion. The Seattle campus is the company’s first tech hub outside its New York City headquarters. That means Compass is now knocking on the door of Redfin and Zillow, both based in Seattle. Los Angeles has always been known for bucking tradition, so it’s no accident that Southern California gives those who visit during Thanksgiving ample opportunity to do the same. With average temperatures well into the 60s, numerous dining options, and many attractions open for at least part of the day, Thanksgiving in L.A. is as stuffed with activities as that turkey about to be carved. NOTE: All Thanksgiving dinners and events are taking place on Thursday, Nov. 22, 2018 unless otherwise noted. On Thanksgiving Day, restaurants across Los Angeles are preparing sumptuous holiday meals that will please every palate. From traditional dinners to globally inspired feasts and vegan menus, read on for L.A. restaurants and hotels that are hosting Thanksgiving celebrations. For a fun, family-friendly Thanksgiving Day, a visit to one of L.A.’s numerous attractions may be just the ticket. Book the VIP Experience at Universal Studios Hollywood, and get VIP seats to shows and front-of-line privileges to all attractions, including The Wizarding World of Harry Potter™ - from magical spells to magical creatures, from dark villains to daring heroes, it’s all here! Experience Fast & Furious: Supercharged, Springfield – home of The Simpsons, Despicable Me: Minion Mayhem – a 3D Ultra-HD movie motion-simulator ride – and Super Silly Fun Land, an interactive playland adventure. For movie and TV fans, few L.A. attractions can compare to Warner Bros. Studio Tour Hollywood, which offers an immersive, behind the scenes look into Hollywood at work. Highlights of the two-hour tour include DC Universe: The Exhibit, featuring legendary superheroes like Wonder Woman and their nemeses; props and costumes from Fantastic Beasts and Where to Find Them and the beloved Harry Potter films; Stage 48: Script to Screen, an interactive soundstage that explores the film and TV production process; and cinematic treasures in the Prop Department. For a classic oceanfront experience, visit Pacific Park at the Santa Monica Pier for rides and games the whole family will enjoy. Book a first-class tour of the legendary Queen Mary and experience the 4-D Theatre, Princess Diana Exhibit, Their Finest Hours: Winston Churchill, the Engine Room and much more. Then enjoy a lavish Thanksgiving Brunch or prix fixe dinner at Sir Winston’s. Enjoy a Thanksgiving lunch buffet at the Aquarium of the Pacific‘s Cafe Scuba, then gobble gobble with sea otters and over 11,000 other animals from the world’s largest ocean. From Downtown L.A. to the Beach Cities, enjoy a quintessential Southern California holiday experience and work off some of that turkey at one of the outdoor ice skating rinks that are open on Thanksgiving. Spanning more than 4,200 acres, Griffith Park is is one of the largest municipal parks with urban wilderness areas in the United States. Griffith Park is open to the public daily from 5 a.m. to 10:30 p.m. Hiking paths, bridle trails and mountain roads are closed at sunset. Griffith Park is also home to several attractions that are open on Thanksgiving Day, such as the L.A. Zoo, Travel Town Museum and Sunset Ranch Hollywood. The landmark Griffith Observatoryand the Autry Museum of the American West are closed on Thanksgiving Day but will be open on Friday, Nov. 23. Take advantage of L.A.’s beautiful weather with a stroll through one of the city’s stunning botanical gardens. Located in La Canada Flintridge, Descanso Gardens is a 160-acre urban oasis complete with a camellia oak forest, streams, a lake, bird sanctuary, five-acre International Rosarium and colorful flower displays, as well as a mini-train route for the kids. Further east in Arcadia is the Los Angeles County Arboretum & Botanic Gardens, which has 127 acres of birds, plants, animals, and the historic Queen Anne cottage, which famously appeared in the opening credits of TV’s Fantasy Island. For a dazzling evening experience, both Descanso Gardens and the Arboretum are hosting holiday light shows. The annual Turkey Trot Los Angeles is taking place in Downtown L.A. from 8am to noon on Thanksgiving morning. 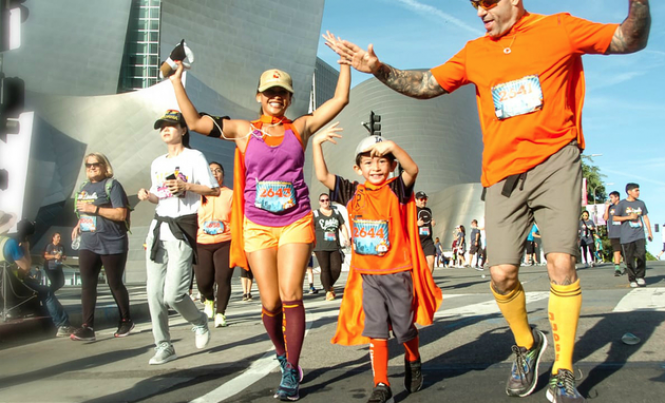 Turkey Trot L.A. features 5K and 10K routes on the historic streets of Downtown, a post-event festival at Grand Park, costume contest and much more. Entry fees are $45 for the 5K Run/Walk (ages 18 and up), $50 for the 10K, $65 for the 5K/10K Combo, and $20 for the Widdle Wobble, a mile-long kids and family run/walk. In the spirit of Thanksgiving, the Turkey Trot benefits The Midnight Mission – an amazing organization that offers a path to self sufficiency to those experiencing homelessness. Make a difference in the lives of L.A.’s neediest individuals by registering and buying a pair of Bombas socks. For each pair sold, another pair is donated to The Midnight Mission along with a $6 donation. Participants can also purchase an I HEART L.A. button during registration. The annual Tofurky Trot is taking place from 9 a.m. to noon on Thanksgiving Day at the Crystal Springs Recreation Area in Griffith Park. The plant-powered race is 5 km (3.1 miles) and is a run, trot, or walk that’s open to all physical fitness levels. Prizes and medals will be awarded to the first adult and child finishers, for best costume, and to the cutest dog. Every participant will receive free early admission to the post-trot Fall Vegan Food Fest from 11am-3pm featuring vegan food vendors, guest speakers and live performances. (The Food Fest opens at noon for those who didn’t register for the Trot.) Tickets are $35 for adults, $20 for students (ages 12 to college), and $15 for children 6-11. Children under age 6 are free. Proceeds benefit local nonprofits, The Animal Museum, Bunny World Foundation and the Jackson Galaxy Foundation. The world famous Laugh Factory will host its annual free Thanksgiving Feasts on Thanksgiving Day. Top comedians like Dane Cook, Kevin Nealon, Shawn Wayans, Tim Allen, Tom Arnold and other celebrities will help serve each guest a turkey dinner with all the trimmings. Comics will perform live shows following each meal served throughout the day at 1 p.m., 3 p.m., 5 p.m. and 7 p.m. Last year, the Laugh Factory served 2,500 people – the goal is to host even more guests this year. Celebrating its 25th anniversary, the Thanksgiving Day Run & Food Drive takes place at Memorial Park in La Cañada Flintridge. The 5K run/walk is open to all ages and abilities and is a major fundraiser for the Community Center; proceeds are used to support its year-round programs. The race is professionally timed and begins promptly at 8:30 a.m. The 1-Mile Kids’ Run begins at 9:30 a.m. and is ideal for children age 12 and under. Pre-registration for the 5K is $40 and $20 for the Kids’ Run. Participants are asked to bring a non-perishable food item to be dropped off at Memorial Park on Thanksgiving morning and donated to families in need. The Westside Thanksgiving – Community Dinner & Celebration is taking place at the West L.A. Civic Center on Thanksgiving Day. A free sit-down dinner is served from 11am-3pm. Free services include haircuts, blankets, clothing, hygiene kits, medical/optica/dental exams, vaccination, resource fair, and a children’s carnival. Everyone is invited – veterans, students, low-income families, seniors, anyone who is homeless, and anyone who is alone on Thanksgiving. The entire family is invited to participate in the 39th Annual Harry Sutter Memorial Thanksgiving Day Fun Run. The three-mile fun run/walk begins at 8 a.m. on Thanksgiving morning. A raffle follows the fun run – winners must be present to receive prizes. Runners and spectators alike can bring canned goods for a special Thanksgiving Food Drive. While you watch, run or walk, your canned foods will be distributed to people in need throughout the South Bay. At $245M, Bel Air estate touting itself as priciest listing in U.S. The title for most expensive home listing in the United States now belongs to a 10-acre estate in Bel Air. 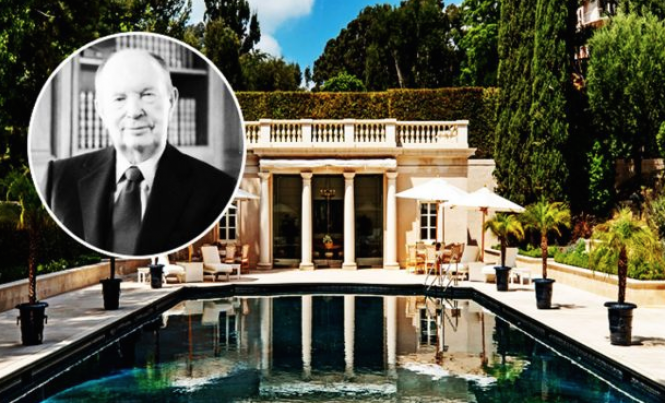 For more than a year, the owners of the former estate of Univision billionaire Jerrold Perenchio shopped the property as a pocket listing for $350 million. With no takers, now the French Neoclassical mansion known as Chartwell is available on the Multiple Listing Service for $245 million, the Los Angeles Times reported. Chartwell is one of eight homes with nine-figure price tags in the Los Angeles area. If it sells for anywhere near its asking price, it would easily dwarf the price record for Los Angeles County, which was set at $110 million in April when Peter Morton sold his home in Malibu. The previous not-so-secret pocket listing of $350 million was not taken all that seriously by L.A.’s high-end real estate community. 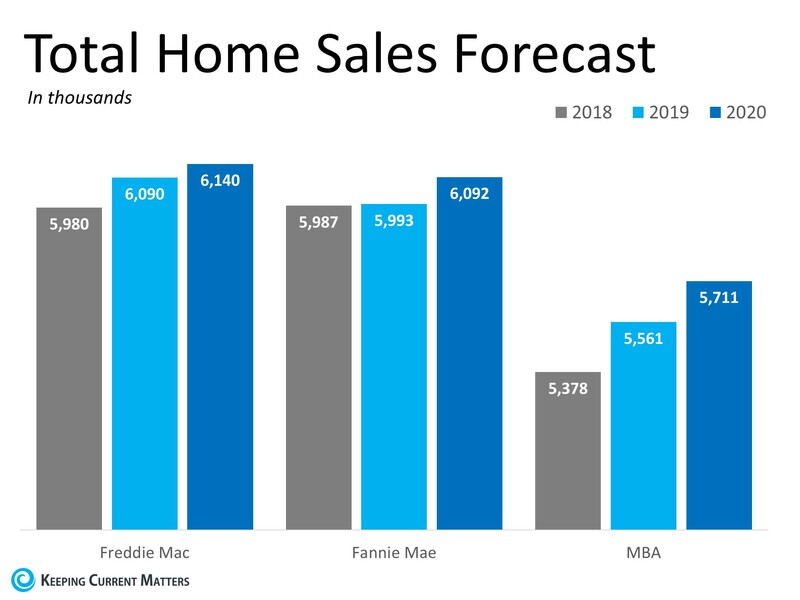 Sellers in the area are known for overpricing high-end properties by as much as 50 percent, only to slash prices later, as Stephen Kotler, Douglas Elliman’s CEO for the Western Region, recently told The Real Deal. Some will recognize Chartwell’s main residence from the opening credits of “The Beverly Hillbillies” sitcom. The 25,000-square-foot mansion was built in 1933 by Sumner Spaulding. It includes scaled formal rooms, a ballroom, and a 12,000-bottle wine cellar. It also has a guest house designed by Wallace Neff, a 75-foot swimming pool, a tennis court and covered parking area for 40 cars. Perenchio, the former CEO of Univision, bought the property and three contiguous parcels in 1986. He expanded the estate with designer Henri Samuel and architect Pierre Barb.